The emotional side of the distribution of the property raises issues like confidence in the future, desire to defend personal interests, the clash of different points of view on what justice is, and so on. Sometimes, even the couples which initially had an intention to dissolve the marriage peacefully found themselves greedy and mercantile. Each spouse just was sure that the division was going to occur his or her way, so then, they both were unpleasantly surprised with the partner’s opposite point of view. This issue should not be delayed too long, find the courage to talk about this and find a solution at the moment you just decided to get divorced. In general, you should bring up this subject sooner rather than later, for example, when you acquire the common property, or even before the marriage – meaning, you’d better settle all the material matters in advance creating a prenup. As for practical matters, property division in a divorce is also quite complicated since it assumes a lot of specific regulations depending on the state law and the peculiarities of a certain divorce case as well. Generally, all the US states can be defined as community property states and equitable distribution states. Briefly, community property states are the states where the couple is considered as a community, so all the marital property is deemed to be owned by both spouses equally. This means that both parties have equal rights to the property bought/gained during the official marriage, and it does not matter who made a more significant contribution to the acquisition. Therefore, in a divorce, all their marital property must be divided in half. In other words, in the community property states, the equal, 50/50, splitting of the spouses’ property is presumed to be fair unless it was proved otherwise. In their turn, in the equitable distribution states, there is no such presumption. The couple’s property must be divided equitably and fairly, but it does not necessarily mean equally. In these states, the court has to consider and weigh carefully all of the factors which may clarify what decision (what shares) would be fair in a particular divorce case. Among these factors typically are the spouses’ age, health, contribution to the increase of the value of the marital property (as well as embezzlement of it), earning ability, the tax consequences for each spouse and so on. To determine which property is marital (acquired during the marriage) and which is separate (acquired by either spouse before the marriage, after the separation, or received as a gift or inheritance. It is important because the separate property of each spouse is not subject to division). To agree on a value for the marital property. And finally, to decide who gets what. Allocating Shares in a Business Partnership. Things get more complicated when it comes to dividing the joint business since calculating the worth of business includes not only tangible property but also the partners’ liabilities, each spouse’s interest which has its value as well. However, if the spouses hold a small business, they probably may try to value and divide it by themselves. 1. You can sell the business so that it will automatically have some determined cash value. Then, you and your spouse may divide the profit equally, and to bankroll your own very new business projects. In such a way, all the financial ties between the former spouses are broken forever. Among the cons of this option is the fact that you cannot predict how long it will need to sell the business. And also, if you were satisfied with how good your business was, it may be just sorry to say goodbye to it. 2. One more way is to dissolve a business at all, meaning, to terminate the partnership. As a result, neither party will be in charge of the ex-partner liabilities and debts. Neither party will be eligible to enter into any transaction on behalf of the partnership. Such a deal proclaims your initial business partnership invalid. 3. And finally, you can buy out your partner’s interest. This means that you will keep the whole business but you should pay your former spouse the relevant amount of money or offset his/her part of the business with some other assets, like, securities (this way is favored as there is no considerable tax liability) or IRAs or 401(k) plan assets. This is the preferable option among the divorcing couples who hold a small business, though it is not the simplest. Calculating the selling price of a small business is a crucial part of buying out the share, so we are going to consider this process more in details. Figuring the Value of a Jointly-Held Business in a Divorce. If you are arranging a DIY divorce and want to try to value your small business independently you should understand the key step of this process. Well, let’s go. The worth of every business consists of the values of its tangible and intangible property as well as its liabilities. Tangible property includes inventory, equipment, and other material stuff which are needed for the company to function. Intangible property means trademarks, patents, copyrights, software and even reputation and trust of customers. In other words, intangible assets are anything which helps the business to succeed and make good money. Along with it, every business has its liabilities which also affect the final profit. So, unlike the assets and property, liabilities mean the things that cost the business money. For example, loans, credits, staff’s salary, and other expenses which may produce the debt of the business are ranked as its liabilities. 2. Calculate the profit of your business. How the company net profit is determined? First, you should calculate how much money you earn with the business. Then – to subtract from this amount all the related expenses which are needed to make income (these are liabilities, equipment maintenance, rent, and so on). The net profit of your business may be calculated in different ways. Usually, it is set on the particular timeframes – for instance, net profit per year, per quarter of the year, per month or even per week, depending on the specificity of the business. 3. Use one of two business valuation formulas. This method implies that the assets of the company are as they claimed in the company’s balance sheet. To understand the book value of your business you should subtract the depreciation, the consumption of assets from their initial worth. The point is that the worth of any assets may change with time in different ways. While some tangible property tends to lose its value over time, the cost of some of the other property, vice versa, just increases. For example, you can compare the increasing value of real estate and securities and diminishing equipment costs due to wear and tear. b. The second, so-called market approach of valuation assumes considering the probable cost which could be paid for your business by the potential buyer. This value directly depends on the earning capacity of your company. To use the market approach, you should analyze and carefully weight the income of your business over some years, to determine the value of its assets and to trace the tends in gained profit. Based on this information you should try to predict what would probably happen to this value over the next years. Please pay attention to the fact, that the date of the valuation is significant for the results of your property division. 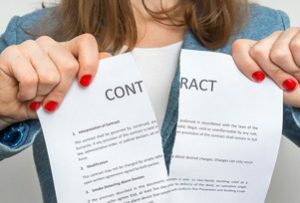 As some divorces are quite long-drawn, the calculated cost of the business may change during the time the divorce process takes. So that you do not have to do the same job twice, an attempt to complete property valuation as close as possible to the date of your court hearing will be to your advantage. Anyway, evaluating the cost of your small business in a divorce, your main aim is to get not too high as well as not too low worth. You should realize all the responsibility while you are eager to calculate the cost of the business by yourself. Poorly executed valuation of the business may allow your former spouse to control you, and some mistakes and missed details may trouble you for years after a divorce. All the information above is informational purposes only, not a piece of legal advice. If you are not very confident with your ability to manage the process, you should resort to the help of a lawyer or valuation professionals for a third-party valuation.